When it’s a cold, windy February day on Boston Harbor, it can be a challenge to imagine any connection between the city and the warm, tropical habitat represented in the Giant Ocean Tank, our 200,000 gallon Caribbean Coral Reef exhibit. Yet for eleven special teens, these connections are very much on their minds. They are part of the Aquarium’s Sea TURTLE (Teen Underwater, Research, Training and Learning Expedition) program (learn about last year’s Sea TURTLE program here). 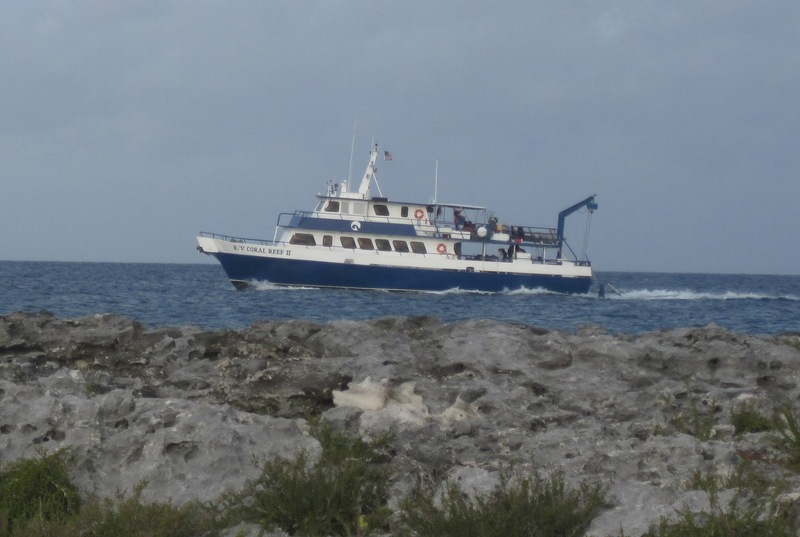 The R/V Coral Reef II and the Bahamas: Our home and floating classroom for ten days in April! Our eleven participants were selected from a pool of nineteen talented and ambitious teens through a competitive process that included both group and individual interviews. Needless to say, they have already put in a lot of work to get to this point. And this is just the beginning! Tonight is Sea TURTLE family orientation and it’s a packed house. Participants and adult instructors are meeting as a team for the first time. Teens have brought along parents, siblings and family friends. There are lots of questions to be answered and lots of paperwork to be filled out. Since this is the second time the Aquarium has run the Sea TURTLE program, families got to meet past participants and their parents. And everyone is very excited! Michelle and her Mom take a break from paperwork to hear what this year’s expedition is all about. For the next several months, our Sea TURTLE teens have committed themselves to weeknight classes and Saturday pool sessions, all the while working as a team to learn scuba, marine science and conservation. All this is in preparation for a trip to the Bahamas aboard the R/V Coral Reef II over April break! There they will have the opportunity to put these new skills to use in the field. Teens from last year’s Sea TURTLE program came to share their experiences and answer questions. Sea TURTLE participants and instructors will be blogging throughout the program. Next week is our first evening class and our first guest lecturer! We invite you to share the journey, so follow along! The Sea TURTLE 2011 team! Yay! Congratulations! I'll be looking forward to reading your blog! Congratulations! May your hard work and learning lead to many more good things - for you, for your communities and for healthy ecosystems near and far. As the proud English teacher of one of your Turtles (Joshua!) I cannot wait to see this project unfold! Thanks for providing this opportunity!